Leaps forward in the world of art typically happen when people feel they’ve exhausted the norms of their medium. New styles and inventions are born out of the necessity to venture into new territory and make old jobs easier. The camera was initially seen as the enemy of an artist until photography was realized as an artistic outlet in its own right. CGI—short for computer-generated imagery—exists as both a complement and counter to cameras. It is utilized to turn the unreal real, to bring people and places to life that otherwise would not be. The first thing many people think of when they hear CGI is cartoons, carefully constructed worlds like those seen in Toy Story. The trick is integrating these images with real locations and people, or making a fantasy world feel real. The relative failure of Tron—an ’80s special effects bonanza that suffered middling returns running against Blade Runner and E.T.—established a stigma that CGI was a high-priced gimmick. But it was 1993’s Jurassic Park that changed the face of movies and entertainment by establishing that a movie relying on CGI could not only look good, but be popular as well. Mixing effects with real actors and creating a world that blends the difference was a monumental leap for the industry. 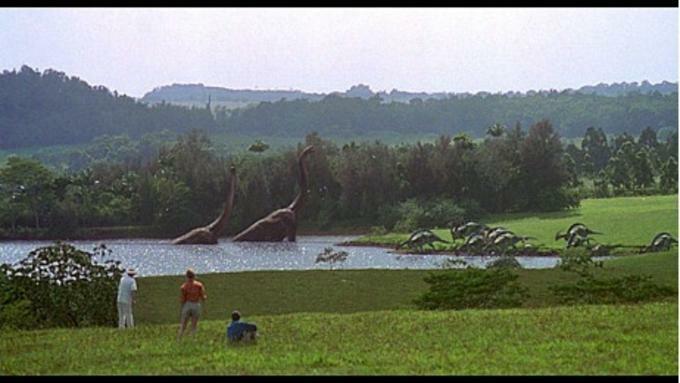 One of the enduring shots from Jurassic Park captures the “wow” factor of CGI, when it made you feel as though these gargantuan dinosaurs were part of the real world, casually strolling past a few of the movie’s main characters. It looks seamless, but the CGI process is anything but easy. As with other parts of film, CGI has its roots in the scripting process. Images like that iconic scene have to be hashed out to the finest details—the background, movement, and even dialogue—before they get anywhere near computer images. Once the script is hashed out, the animation crew creates the storyboard, a series of 2D drawings that hash out scenes step-by-step alongside the script. Storyboarding is critical and often tedious—the point is to include everything from the script and see what’s worth including in the final product. It’s the time to flesh bad ideas out and determine what’s worth putting through the 3D animation process. Contrary to what you might believe, building a scene in 3D is a long process, and you don’t want your animation team having to do more work than they need to. The early stages of CGI are a far cry from what you see on the screen; animators use reference sources to build vague outlines of the backgrounds and characters they want in a given scene. That can mean anything from a 2D drawing to replicas of what the animators want on the computer. In the case of Jurassic Park, models of dinosaurs were scanned with lasers and imported. Using outlines of characters and environments, animators shift things around to build a layout of how the scene will play out, determining camera angles along the way. And now the real fun begins! With that data, animators will begin the process of adding movement to bare-boned, wireframe models. At this point, we’re still dealing with rough outlines and saving details for later, but there’s life. These skeletons of your final product are the basis for everything. When the “skin” of the character is attached later, it will move and bend based on the internal outline. 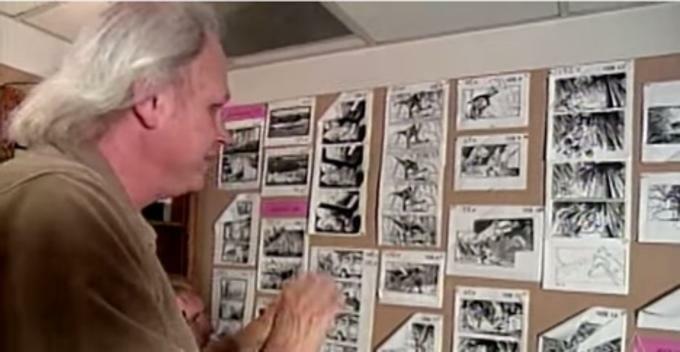 Steve Williams, one of the animators for Jurassic Park, showcased what the wireframe models look like here. The animators build the scene frame-by-frame, all the way down to minute movements like a mouth twitch or tree branches blowing in the wind. You begin to appreciate the complexity and difficulty of CGI when you understand that everything needs attention. What you’re left with after finalizing movement is the rough draft of your scene, with all the details left to fill in. This is the hardest part of animation: revisions. To make the scene appear real, animators have to add lighting, texture, color, and more. In contrast to the modeled dinosaurs, the location itself was rendered using photography references, slowly moving from photo to rough outline and adding details like shadow later. Real-world sensibilities come into play here even if the scene itself is inherently fictitious. The light source has to match the scene. If occurs outdoors during daylight hours, this means that light will reflect off water a certain way. With candlelight, a person’s face might be half-lit depending on the location of the candle. And what’s an animator’s worst enemy, you ask? Hair. It is notoriously hard to incorporate into a scene due to its vast nature. 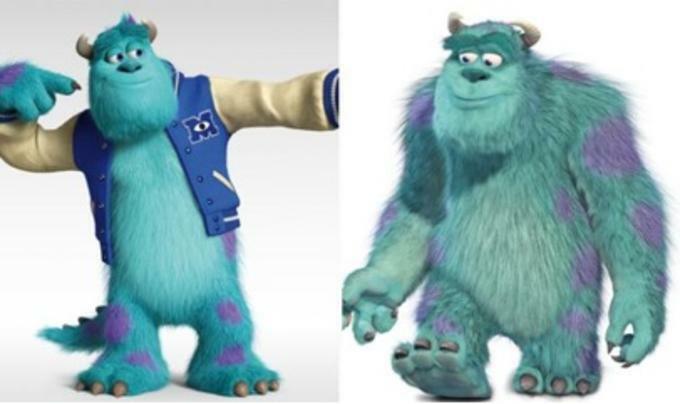 Perhaps you remember Sully, the lovable creature from Monsters Inc. and Monsters University. Christine Waggoner, a supervisor on the latter, revealed that the biggest technological hurdle that they faced in four years of work was in the interaction between Sully’s shirt and his hair. Perhaps that’s because the spotted beast had 5.4 million strands of hair according to his creators. It takes a committed soul to animate so many things that will respond and react realistically to an environment. After these details are completed, the individual frames (or images) are rendered by high-powered graphics computers to make scenes look like fluid camera shots. Compositing, the act of combining CGI with live-action shots, is the final step before touch-up and final output. This step is what makes it possible for us to watch John Hammond, Dr. Grant, and Dr. Sattler staring wondrously at dinosaurs that don’t actually exist. The major benefit of CGI is that it is non-linear by nature. Animation teams can work on different chunks simultaneously, and separate teams can even split character animation into groups; one team might work on body movement while another is tasked with facial expressions. From set and background construction to lighting and effects, almost everything can be split to speed up the larger process. Not all of us can be Iron Man, but design through human movement and manipulation is closer to becoming a reality thanks to the emergence of devices like the HoloLens. Animators will be able to shortcut the process, but perhaps more importantly this could open the CGI realm to a broader base of creators. Groups of people that are more comfortable with a “hands-on” approach might have their avenue to success. Standout CGI involves thousands of hours of work and meticulous planning to really shine, but the final product is hard to argue against. As technology has improved, so has the quality and quantity of CGI. Its power is in the eye of the beholder. With CGI, artists can imagine new worlds and make us ponder the breadth of the universe, or it can be as simple as allowing directors to blow things up on cue. If you can think it, you can build it. Just don’t expect it to happen overnight.